So how do you find qualified local plumbers? One of the main criteria of getting a good plumber is finding out if he or she is licensed. You can do some research and check license requirements. This mainly helps make sure the plumber has been trained and is knowledgeable about the trade and has a legitimate business. This protects the homeowner and the contractor. How can you find out if he or she is licensed? Do a quick license check with your state. Get estimates. Prices can be very different between companies, but do you know that the cheapest is not always what you want in a plumber? You want to hire the best possible plumber or contractor for one or your most valuable assets...your home or business. You want the most value for your money, but that does not equate with cheap. Find an excellent plumber who will give you professional, quality service and who has a track record of satified customers. 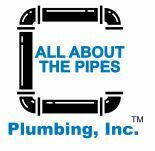 Ameri-Cal Repipe & Plumbing, Inc.
We are a group of Charlotte plumbers, who are always ready to help. If you would like, leave your company information in the comments below. You can list your Company Name, Where you are located, What Plumbing Services you provide, Phone #, website. Leave your comment in the box below. *The links on this site are for your information only and do not constitute as a recommendation for use from the site owners. It is your responsibility to do all due diligence when using a supplier or contractor for advice or other services.